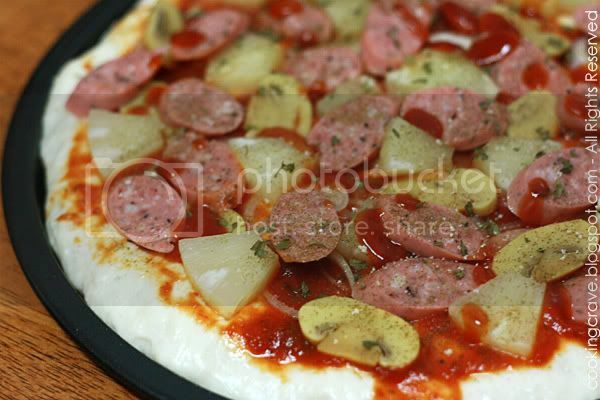 Cooking Crave™: Pizza ~ Simply Tasty!! Pizza are very well depended on the sauce used and the most important part is CHEESE. It didn't went wrong with a lot of cheese and it's not hard at all to bake our own pizza. Mix all the ingredient for the crust and let it proof for 20-30minutes. 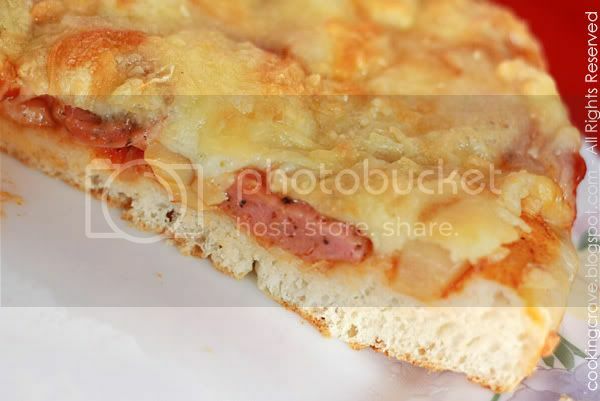 Spread the dough on pizza pan and top it with our favourite toppings ~ tuna, bacon, hotdog, mushrooms...etc, etc. 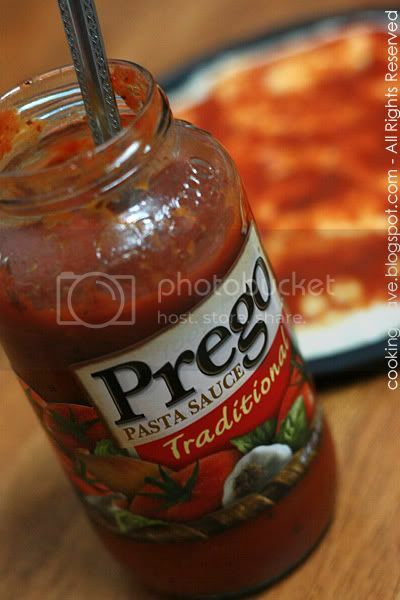 I used this Prego Pasta sauce on my pizza and it taste fantastic!! Baked this pizza for my kids so, I made their favourite toppings - hotdog, mushroom, onion, pineapple and a lot of cheese...yum, yum!! I use Mozzarella cheese. 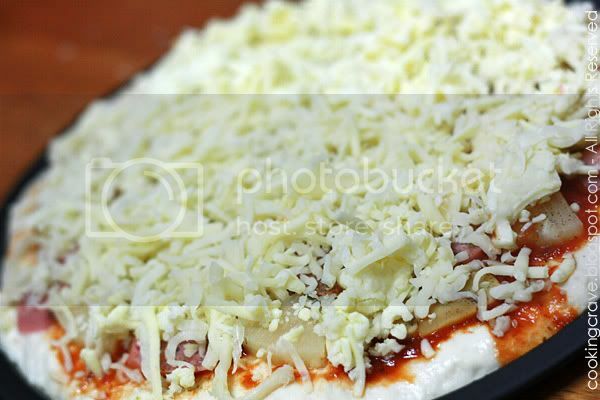 If you are cheese lover, you can always spinkles some Parmesan cheese powder on pizza before serving for more cheesey flavour. I'm hungry now, when think of the pizza...haha! 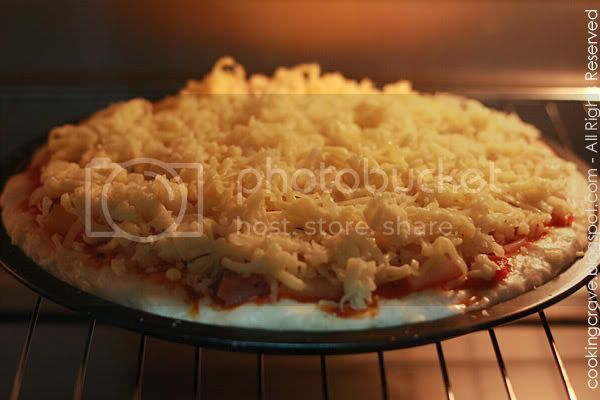 Look at the melted cheese...at this time you can smell the yummy pizza from the oven. 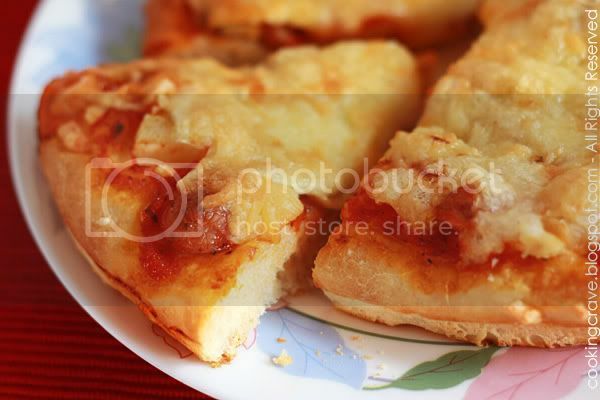 For the PIZZA recipe, please click HERE! Believe me or not?? It's simply tasty!! wow this looks real good!! i'm sure it taste great! Your this pizza look better than those sell outside, really really nice, and best thing is we can put a lot of ingrediants if baking homemade pizza. And you have another good series of photos. Do you mind tell me your camera model? arhh.. yummy!! =) could we have thin crust too?? Looks delicious! Love your blog. This looks really good and tasty. The photographs look really good as well. Its like out of the cook books! Well done. Colin: Thank you! Wish you have a great weekend! 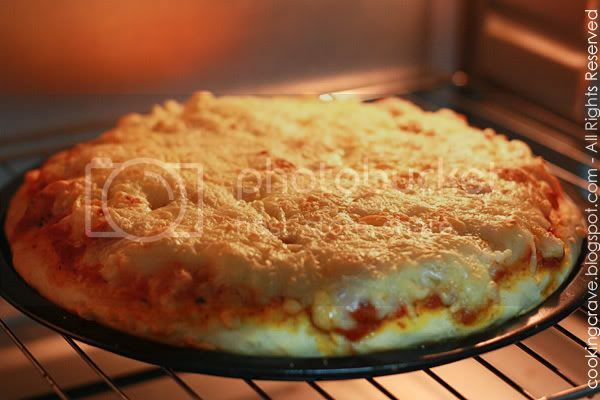 Annie: Ya, I topped it with lotsa cheese and my kids love it. Sonia: Thank you. Ya, we can put any topping of our preference and most important is the sauce and a lot of cheese on it. I use Canon 450D paired with 50f1.8 lens for all the shots. Tracie: This pizza I bake is the thick one, the recipe for thin crust will not be the same. John: Thank you and welcome to my blog! 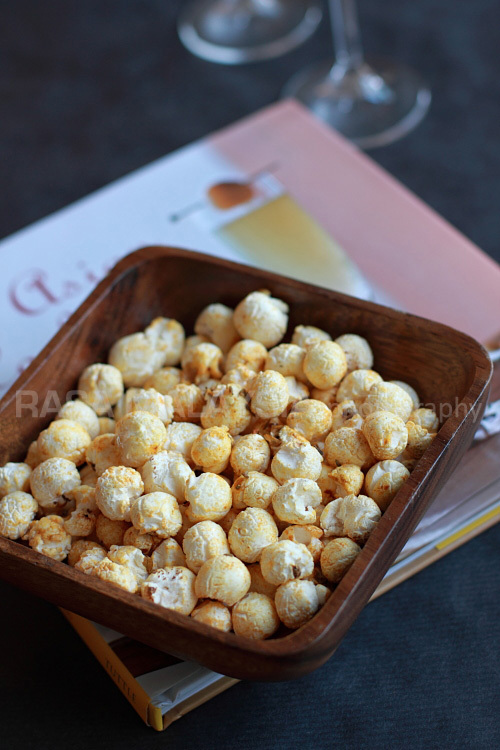 Alex: I'm still new in food photography. Thank you! Cheryl: Thanks, must try it ya. Vialentino: Thanks for drop by!